October 2013: Our steward will meet us in the main waiting room of Los Angeles Union Station and conduct us to private railcar Colonial Crafts waiting for us on the rear of the Amtrak's Coast Starlight departing at 10:25 AM. As the train leaves the depot, we enjoy a champagne toast to begin our journey to San Luis Obispo. Luncheon will be served around Noon following the sound of the dinner chimes. As we sit down, the ongoing views of the Pacific shoreline provide a continually changing scene for our meal. The tables are set with crisp starched linens, fine china and glassware in the railroad tradition. Our meals are prepared fresh on board by our chef. Enjoy throughout the trip our complimentary bar including premium labels of beer, wines from the Central Coast and spirits. 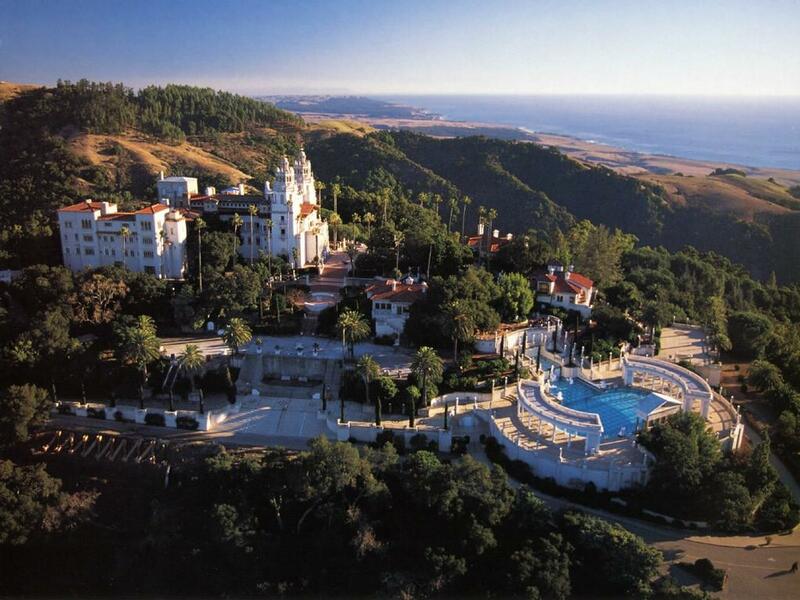 After enjoying some mid-afternoon hors d'Oeuvres, we arrive in San Luis Obispo where we transfer to our waiting coach from Hearst Castle. Our coach brings us directly to the front door of the castle where we will be greeted by the Museum Director, and treated to a rare behind-the-scenes tour. As we tour the Castle, we notice that our group are the only guests. 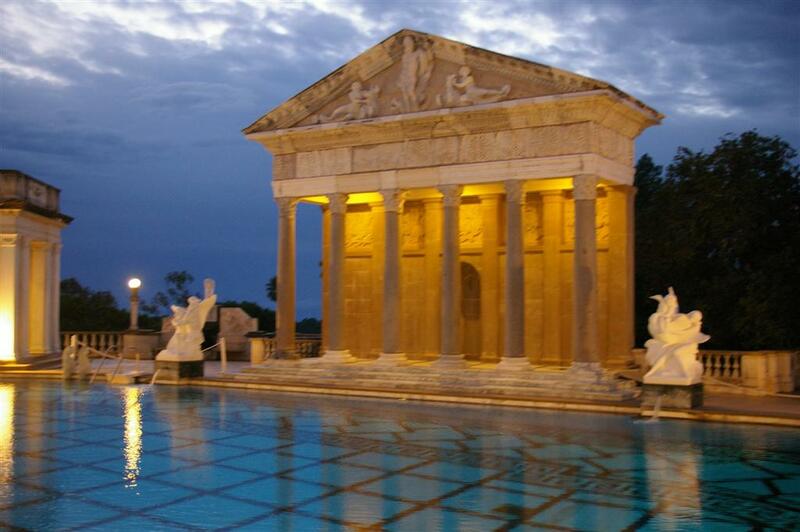 At the conclusion of the tour, we will sit down to a four-course dinner under the collonade of the Neptune pool with the surrounding mountains and the ocean far below. We get a taste of what it must have been like as one of Mr. Hearst's guests as the Castle has been reserved for our exclusive use. The Hearst family is still involved with the Central Coast. Our meal features beef grown here on the Hearst Ranch and wines from grapes grown in the Hearst Vineyards. 2nd Day October 2013: After breakfast, we board our trolley coach for a trip over the Coast Range and down into the Paso Robles wine region. We will enjoy a tour and tasting at two wineries with a light lunch before we reboard Colonial Crafts at 1:38 PM. Heading south, we enjoy a glass of Central Coast wine as we head up and over Cuesta Pass. Hor d'Oeurves followed by dinner are served as we observe the golden sunset over the beach as we glide back to Los Angeles and a 9:00 PM arrival. Avis Car Rental today announced that Avis Preferred(R) Select & Go, the Company's vehicle selection service, is now available in Toronto. members the freedom to select the vehicle that best suits their needs,"
amenity to Avis Preferred travelers in Canada." National) and West Palm Beach. brands with approximately 5,200 locations in more than 165 countries.